A determined group of activists turned out on a weekday to remind Governor Cuomo that New Yorkers don’t want fracking anywhere. This took place within view and earshot of the Governor’s New York City office. One of our friends on the inside told us that the Governor was due to be in town that day! Here are some pictures by our activist friend, Dennis Edge. And below the pictures, we have copied in the Food and Water Watch press release describing this event. 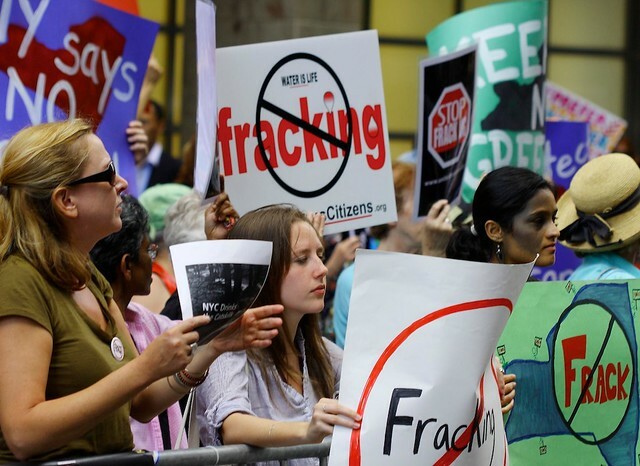 NEW YORK, NY – On Monday, New York City residents called on Governor Andrew Cuomo to support a statewide ban on a dangerous gas drilling technique known as hydraulic-fracturing, or fracking, at a press event and rally in front of his Manhattan office. 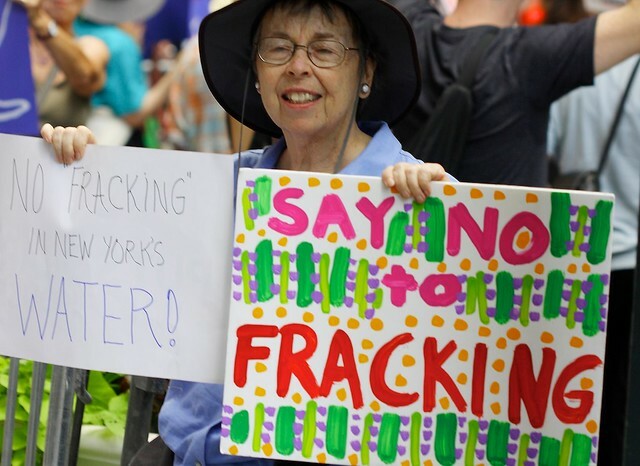 A number of anti-fracking groups, including Food & Water Watch, United for Action, Earth Day New York, and Frack Action, were joined by over 50 concerned New Yorkers who shouted in unison, “Ban fracking now!”. Following the event, participants delivered Food & Water Watch’s latest report, “The Case for a Ban on Gas Fracking” to the governor’s office. The report outlines how the natural gas industry’s use of water-intensive, toxic, unregulated practices for natural gas extraction are compromising public health and polluting water resources necessary for human health and sanitation, businesses and agriculture. Late last year, New York State passed a six-month moratorium on the practice. 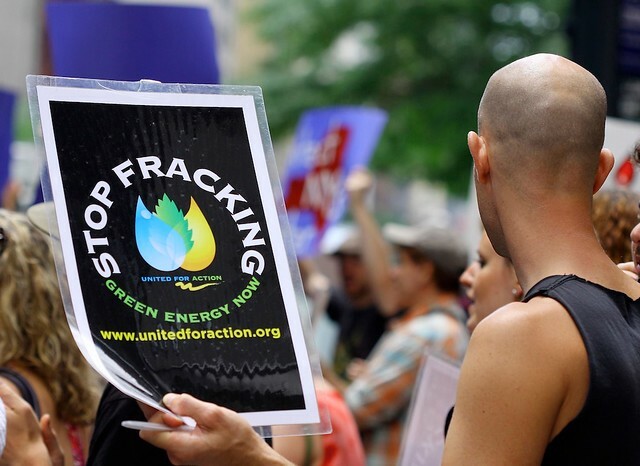 In late May, New York State Attorney General Eric Schneiderman sued the federal government for not assessing the environmental impacts of fracking near the Delaware River, which supplies drinking water for 15 million Americans. Currently, the state Department of Environmental Conservation (DEC) is finalizing its environmental impact statement on fracking. Gallery | This entry was posted in Activist-Community, Events. Bookmark the permalink.